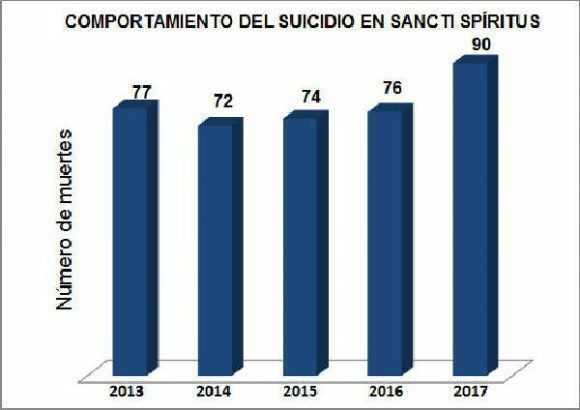 Suicide, considered a health problem in the world, reports an increasing annual rate in Sancti Spíritus, which is above the average in Cuba. Illustrative image. Elena was never this far from life. She opened the window of the apartment where the unexpected drizzle came in. At that time, her mother was enjoying the adventures on TV in the living room. At that time, her daughter sought to escape for good. Before, there was an overdose of psychopharmaceuticals and intensive therapy; there was a train, an infinite whistle and the hand that pulled her off the railway line at the exact second. She wanted to get rid of her 22 years and her stormy marriage, which was not so. She climbed into the chair to say goodbye, too, from the window. And she stumbled upon the wet emptiness of the night. 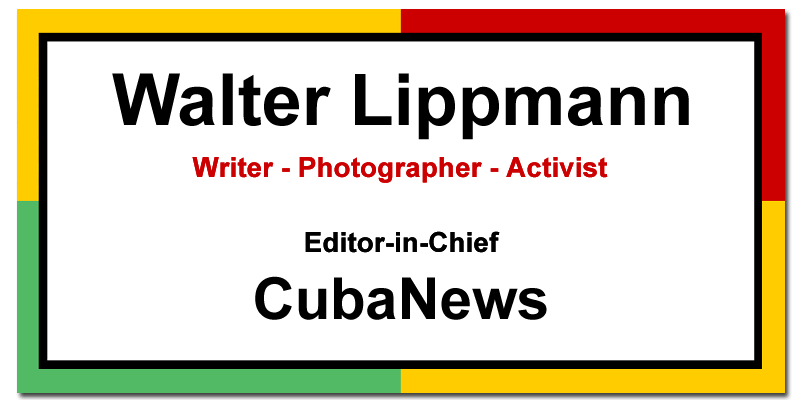 Attempts and consummated suicides are not exclusive to Sancti Spíritus or Cuba. The World Health Organization (WHO) estimates that every 40 seconds a person is deprived of life on the planet; the number of deaths from this reason per year even exceeds the number of deaths due to armed conflicts and homicides in that period. 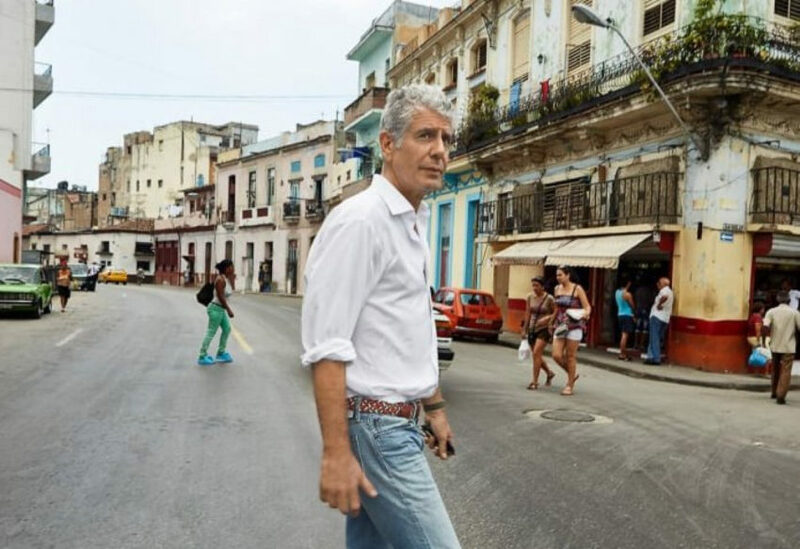 As international and Cuban experts maintain, this problem is not just a phenomenon of today; in the course of humanity, suicide has been valued from different cultural angles, not a few modified over time. In ancient times, it was reasonable for Vikings and Gauls to take their own lives because of illness or old age; the Japanese resorted to it for atonement or defeat. In the Greco-Latin world, there is an extensive list of recognized figures who proceeded in this way: Socrates, Marco Antonio… In Cuba, first, the indigenous people; then, the Africans brought to the island appealed to hanging before the impotence and bitterness provoked by the Spanish colonizers, according to the book The Psychological Sutopsy: Suicide or Homicide? by Dr. Teresita García Pérez. For the WHO, suicide – a word coined by the English writer and doctor Thomas Browne in his work Religio Medici in 1642, based on the Latin terms sui (oneself) and caedere (to kill) – is “death resulting from a suicidal act”, conceptualized by the organization itself as “any act by which an individual causes himself an injury, whatever the degree of lethal intent and knowledge of the true motive”. The object of analysis from clinical, psychological-psychiatric, epidemiological and sociological perspectives…, such action constitutes a global phenomenon and affects both the most industrialized and the least developed nations, a reality that led to joint research between academics from the United Kingdom and the United States, who considered the high mortality rates for this cause in the “happiest countries” paradoxical; understood as happiness, essentially, as having enough money to make and buy what the person wants. Regardless of this reductionist view, it also reveals the loss of human lives -even more so due to suicide-, whether in Japan or Switzerland, or in Cuba, with high annual rates per 100,000 inhabitants in the Americas. This pitiful truth has been manipulated for political ends by the media to create opinion matrices against the Revolution, a project that can be improved and which has had the human being as its cornerstone, as demonstrated by the recent presentation of the report of the Greater Antilles to the Universal Periodic Review, a mechanism of the United Nations Human Rights Council, based in Geneva. Sources: Statistical Yearbook (ONEI) and Provincial Directorate of Health. Despite the State’s efforts to guarantee the right to existence – as the infant mortality rate of 4.0 reported last year attests – 8,954 people took their own lives in the country from 2013 to 2017, a period in which suicide was among the top ten causes of death – similar to the world trend – according to the Statistical Yearbook of Cuba and Health. Specifically, Sancti Spíritus recorded 389 deaths for this reason from 2013 to 2017, 90 of them the previous year. The latter figure, in addition to tripling the number of deaths caused by traffic accidents in 2017 here, represents the highest of the five-year period, when annual death rates from intentionally self-inflicted injuries always exceeded the national average in that period and were among the top 10 causes of death in the territory, according to the Statistical Yearbook and sources of the Provincial Health Directorate. From previous centuries to the present day, scholars have delved into the manifestations of suicidal behavior. As early as 1820, the French psychiatrist Jean Pierre Falret stated that suicide was the result of a mental disorder; in 1838, the Frenchman Esquirol argued that it was the result of an emotional crisis. The sociologist Émile Durkheim argued in his book The Suicide in 1897 that it was the result of the interaction between the social facts and the individual motivations of the victim. In Sancti Spíritus, each completed suicide leads to the analysis of the Provincial Technical Advisory Commission on Suicidal Conduct, which determined that the cases of 2017 were linked, to a greater extent, to personal and family conflicts. In order to save the lives of those who demonstrated suicide attempts and, fortunately, survived, the commission itself, with the support of the municipalities’ Mental Health departments, also evaluated the attempts, which amounted to 468 last year, a number that is often distanced from reality, given the stigma that acknowledging it arouses in the social imaginary. More than half of these events were due to family friction, conditioned by dysfunctional homes, misunderstandings and communication problems. Couple and personal conflicts also led to the attempt, significantly present in the female group of 20 to 39 years old. However, it is a matter of concern that more than a third of the attempts in 2017 in Cabaiguán – the municipality with the highest suicide rate in the province during the period – were among adolescents, events related to the lack of communication in the family, according to Orlando Ríos Taño, head of the Mental Health Department there. This commentary is in line with the evidence found in the inquiry about the causes and factors associated with the suicide attempt in that age group in Sancti Spíritus – it would deserve a particular analysis – published in the Cuban Journal of Hygiene and Epidemiology. Knowing that the greatest number of suicides in 2017 was concentrated in Sancti Spíritus among people aged 60 years and over, “differentiated actions are carried out in elderly people who are alone, fragile and in a state of need, with adequate follow-up of psychiatric pathologies, especially those with a high suicidal risk,” according to Ledanay Aquino Pérez, Mental Health Coordinator at the Provincial Directorate of the sector. Orlando Ríos warns of this vulnerability when he examines it in a scenario marked by the gradual increase in the number of single-person families due to migration abroad, especially of children, a phenomenon that has plunged many of those who remain on the island into depression. Experts have assessed the influence of depressive disorders on suicidal behavior, associated with factors such as psychological functioning and personality factors (low self-esteem, hopelessness) and the presence of psychiatric pathologies and family conditions (divorce from parents, pressure from parents on children). Several national studies refer to the incidence of disadvantageous economic conditions in interaction with other causes, a criterion supported by the increase shown by the suicide rate in the most dramatic years of the special period in Cuba. 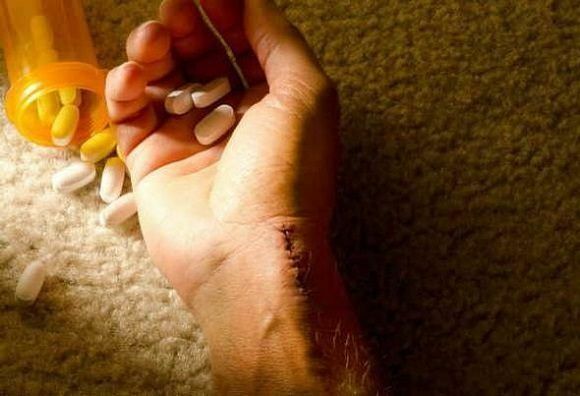 Prior to this, in 1989, the Cuban State implemented the National Program for the Prevention of Suicidal Behavior, a reference in the world, but not executed with similar quality in the different areas of health in the country, according to the research consulted. This program gives primary care a leading role in the identification of individuals at risk, as noted by this reporter at the Family Physician’s Office No. 20, from Polyclinic 2, in Cabaiguán; but it can be improved in other units of this type in the same territory. In order for the program to leave the role and be corporated, there are Technical Advisory Commissions from the national to the municipal level, in charge of systematically evaluating manifestations of suicidal behavior, followinf-up of detected cases, intervention of the Mental Health teams and training, without forgetting the certainty of Martí: “It is a crime not to oppose all possible obstacles to death”. The WHO insists that prevention transcends the borders of health systems and its approach must be multifactorial, with a focus on causes, in order to mourn death. At the same time, it warns of the consequences of suicide: the loss of human beings, family trauma and economic costs. These expenses include the three operations that Elena underwent at the Camilo Cienfuegos Provincial General Hospital during her two months of admission. Only a miracle saved her life after she threw herself into the void that night. Only the skill of the specialists gave back the freshness to my friend’s new face.